Mr. Thomas Spencer, of the Glebe Church, South Shields, fills most efficiently many and varied offices in the Church and in civic life. Born May 3rd, 1856, he has had a life-long connection with Primitive Methodism. Trained in the Old Glebe School, he has continued in unbroken association therewith, except during the twelve years when, as a marine engineer, he was compulsorily absent. For many years he has rendered able, distinguished service in the Sunday school work, and has been for some considerable time teacher of a large class of young men. As a Class leader he excels. Here many feel they are his debtors. He makes all possible efforts to be present at the weekly class meetings. As manager of an important engineering works, he lives a busy life, but he does his utmost to so order his business that he may attend his class. His regular attendance has contributed largely to his success. As a Leader he is racy, optimistic, earnest. By his wise counsel many have been well-guided in perilous places, and others have found comfort in dull days. He is and active church trustee and Circuit official. In the larger Church he is deeply interested, being broad enough in his outlook to see beyond the bounds of local church and Circuit. As treasurer of the Sunderland and Newcastle District Church Extension Fund he renders useful service. Responsibilities and honours have come to our brother outside Primitive Methodism. He is ex-president of South Shields Free Church Council, and president-elect of South Shields Sunday School Union. First and foremost, however, he is a loyal Primitive Methodist, and he gives his Church, not the remnants of his time and energy, but his first strength and first fruits. The good results of a consistent home-training and example are seen in the devotion of his family to our Church. 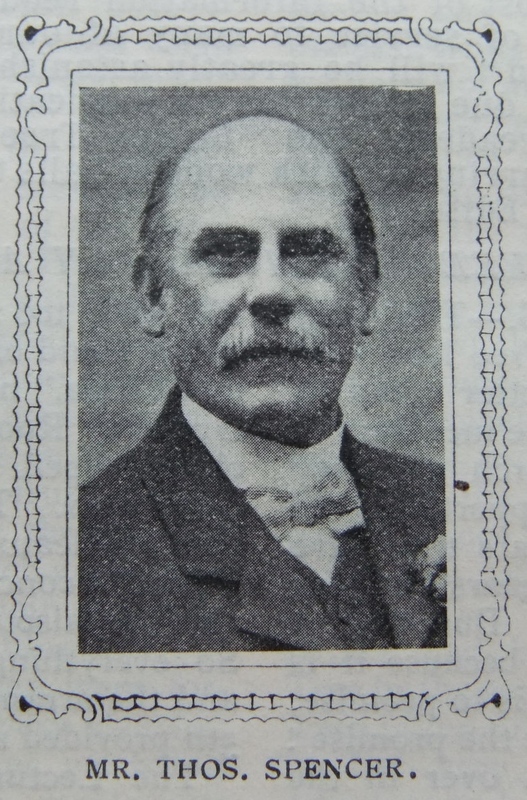 Thomas was born on 3 May 1856 at South Shields, Co. Durham, to parents Leonard and Caroline. Leonard was a master mariner. Thomas married Elizabeth Salter (b1854) in the summer of 1878 at South Shields, Co. Durham. Census returns identify four children. Thomas died on 3 October 1923 at South Shields, Co. Durham.